“Chromothripsis” is a phenomenon characterized in cancer genomes, defined by the occurrence of tens of hundreds of clustered genomic rearrangements, supposedly having arisen in a single catastrophic event. 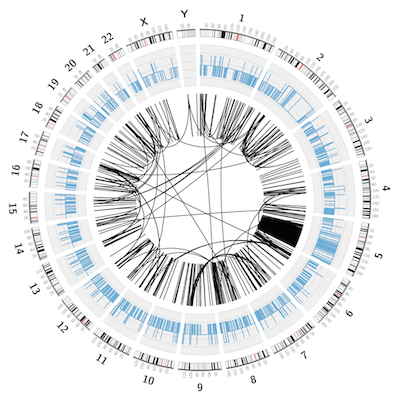 In this event, contiguous chromosomal regions are fragmented into many pieces via presently unknown mechanisms. Supposedly, the cell’s DNA repair machinery randomly fuses these segments together to rescue the genome. These somatically acquired genomic rearrangements may result in complex patterns of regional copy number changes. They have the potential to interrupt or activate multiple genes, and are consequently implicated in cancer development. It has been proposed that this “shattering” and aberrant repair of a multitude of DNA fragments may provide an alternative oncogenetic route, in contrast to the step-by-step paradigm of cancer development. Schema of the process of chromothripsis in a single chromosome. The chromosome is shattered into many pieces. Then these fragments, or some of the fragments, are pieced together to generate a derivative chromosome. The other segments lost to cell. Chromothripsis may involve several chromosomes. 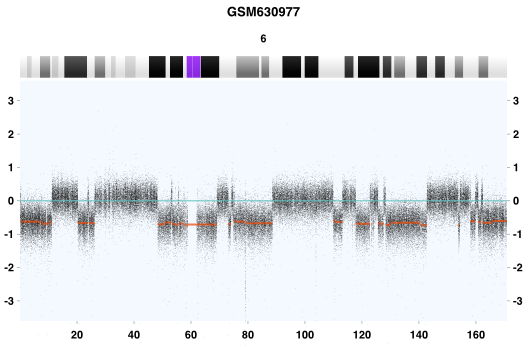 Several technologies has been used to identify chromothripsis phenomenon, including array-based technologies (top) and Next-Generation Sequencing (bottom). Chromothripsis has been characterized as a type of focally clustered genomic aberrations generated in a one time cellular event and being limited to a defined set of copy number states. Stephens PJ, Greenman CD, Fu B, Yang F, Bignell GR, Mudie LJ, et al. 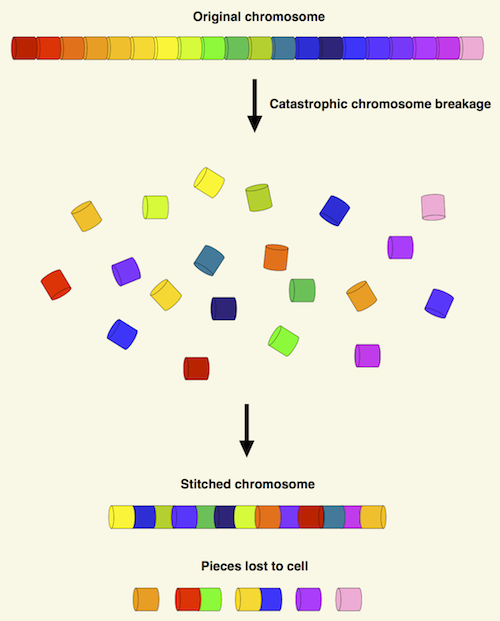 Massive genomic rearrangement acquired in a single catastrophic event during cancer development. Cell. 2011 Jan 7;144(1):27-40. Korbel JO, Campbell PJ. 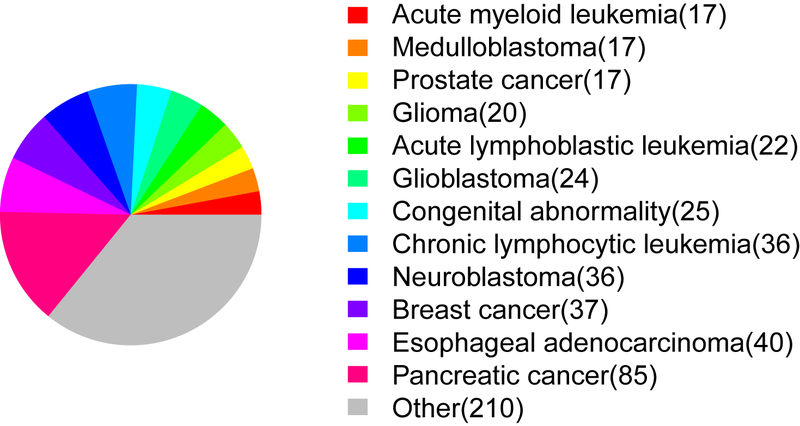 Criteria for inference of chromothripsis in cancer genomes. Cell. 2013 Mar 14;152(6):1226-36.